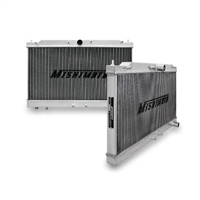 Our Boostin Performance Oil Cooler Kit is designed to work on DSM's and Evo's, and is a cost effictive solution when compared to replacing the OEM oil cooler. 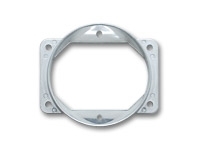 JMF Aluminum Radiator Brackets for the 2G DSM. Also available in black, blue, red, or purple anidozied. 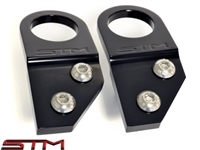 STM Aluminum Radiator Brackets, anodized in black for your DSM. 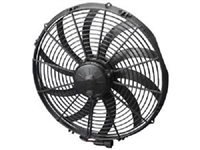 SPAL 12" 1328 CFM Puller Fan. Washable and reusable air filter available in 3", 4", and 4.5" sizes. Big End Straight Fitting. The Extreme Turbo Systems (ETS) 1G 10.5” Race Front Mount Intercooler Upgrade is perfect for any 1G DSM looking for maximum performance. 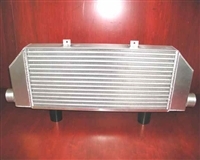 This is the same intercooler ETS uses on their 8 second shop 1G! The Extreme Turbo Systems (ETS) 2G 10.5” Race Front Mount Intercooler is perfect for any 2G DSM looking for maximum performance from 300WHP to 1,000WHP. The Extreme Turbo Systems (ETS) 2G 12” Super Short Route Front Mount Intercooler is the shortest route option available for your 95-99 Eclipse/Talon, and is made from a 26" x 12" bar and plate intercooler core. This Extreme Turbo System's (ETS) 1G 7" Street Front Mount Intercooler is perfect for anyone wanting to retain the factory crash beam on their 90-94 DSM. 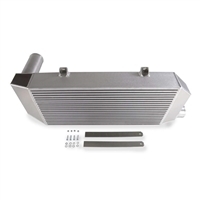 This Extreme Turbo System's (ETS) 2G 7" Street Front Mount Intercooler is perfect for anyone wanting to retain the factory crash beam on their 95-99 DSM. OEM Mitsubishi Intake Manifold Gasket. 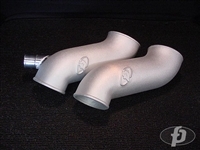 FP's 4" cast aluminum intake pipe for the DSM. Introducing JMF's aluminum "Race Version" sheetmetal intake manifold. 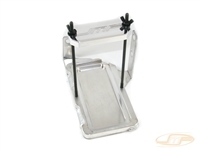 Introducing JMF's aluminum "Street Version" sheetmetal intake manifold. Magnus' V3 Cast Aluminum Intake Manifold for the 1G DSM/GVR4. Designed to get the most out of the powerful 4g63 engine. *NEW* Magnus V4 Cast Aluminum Manifold for the 7-bolt! 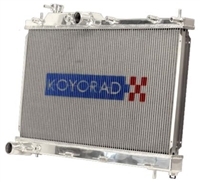 Koyo Radiators provide 20% to 30% more cooling than standard radiators, handle high revving, high performance motors - perfect for Turbo Charged engines. 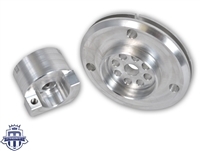 Made from aircraft quality aluminum and Heli-arc welded, cores are NOCOLOK-brazed. 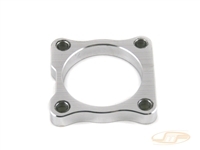 Make your own throttle body elbow with this flange! STM FIAV (Fast Idle Air Valve) Block-off Plate for the DSM. Gates Water Pump for your 6-Bolt or 7-Bolt DSM.